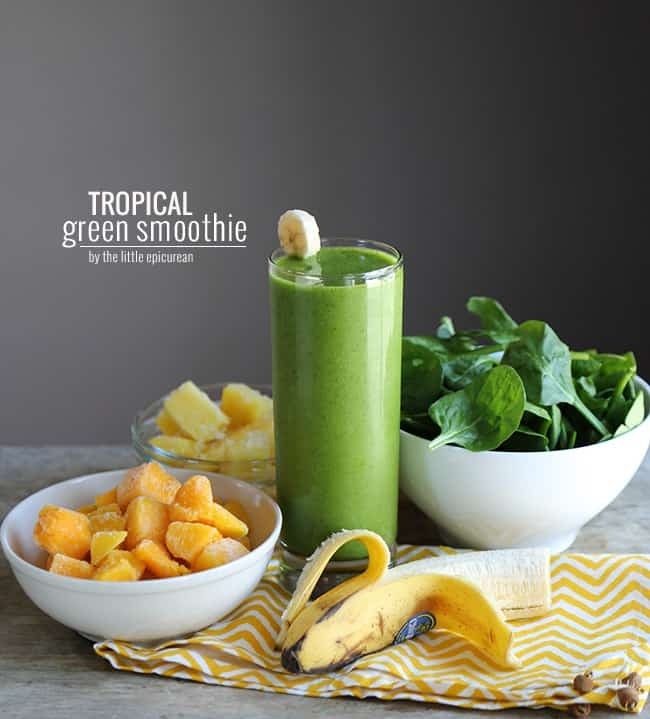 This tropical green smoothie is packed with bright vibrant flavors from mango, pineapple, and banana. I read somewhere that the average person weighs the least on Friday and the most on Monday. As I’m thinking about everything I ate over the weekend, I believe that statement to be true for me. Hence, Monday morning is all about green smoothies. 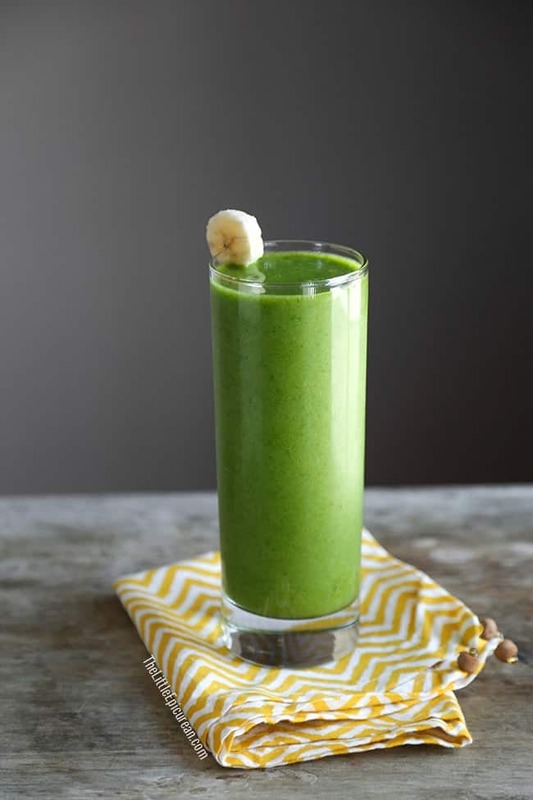 During the middle of winter when it’s cold and gray outside, nothing perks me up quite like a tropical green smoothie! I look forward to a hearty and refreshing smoothie come Monday morning. Smoothies are so easy to make and require very little time and prep. I opt for frozen fruits because they are picked at their peak and can last months in my freezer. Bananas are a staple in my kitchen, they always have a spot on the counter. I have a never ending supply of coconut water in the fridge thanks to my dad. (Thanks, Pa!) And while I used spinach, any leafy green will do- think: kale, Swiss chard, and I’ve even heard of people using bok choy. Pour coconut water into blender. 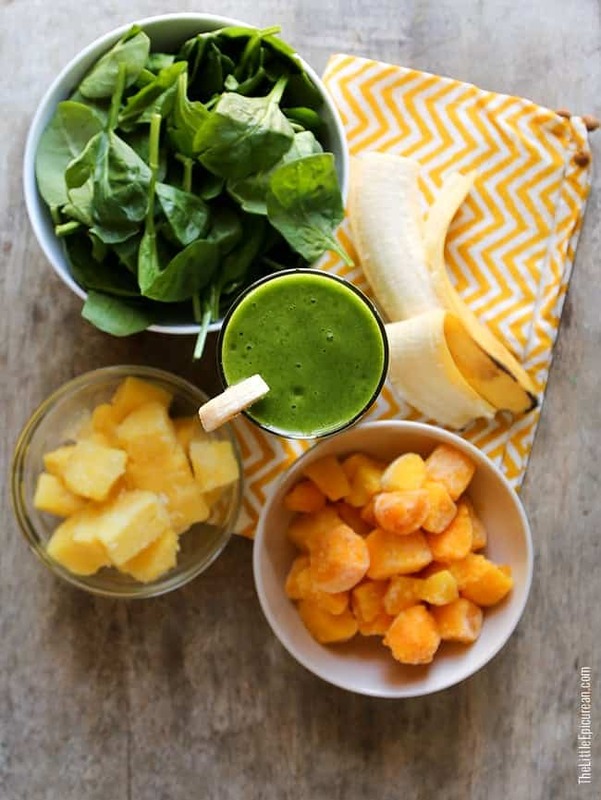 Add mango, pineapple, banana, and spinach. Cover blender with lid and blend until smooth. Pour into two glasses and serve immediately. Otherwise, place in the fridge until ready to enjoy. If smoothie separates in the fridge, stir before serving. 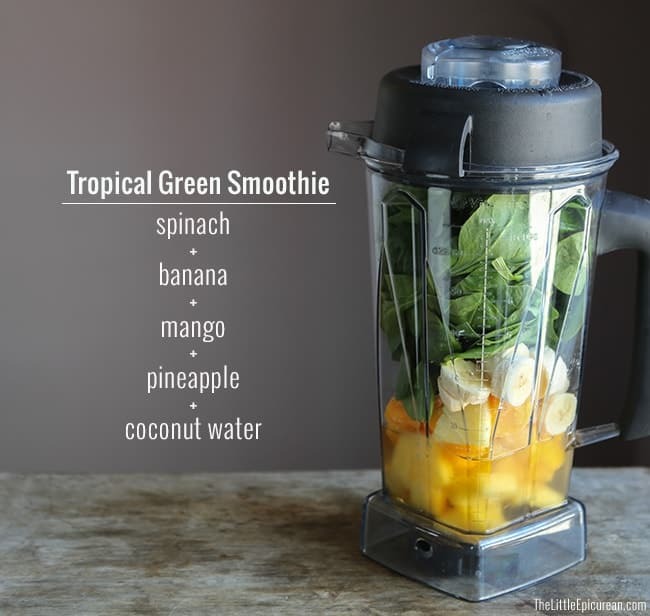 Interested in trying other green smoothies? These two are my favorites: avocado kale smoothie and Miss Green smoothie. Once you’ve become a bona fide smoothie lover, check out these 5 fruit and veggie smoothies. It’s an entire work week of smoothies for you to make! I want this for a snack today! I’m going to pin this beauty on my smoothies board. I happen to have a ripe mango sitting in my fridge! This looks so delicious! I also love the little banana slice garnish -too cute! I totally had one of these today except substitute the mango for one orange sweet bell pepper, substitute coconut water with coconut oil, plus almonds, and plus dried cranberries. Does this count as one more thing we can add to our “like” list? I’ve never made smoothies with coconut oil. Does it blend well? And YES, add green smoothies to the list! 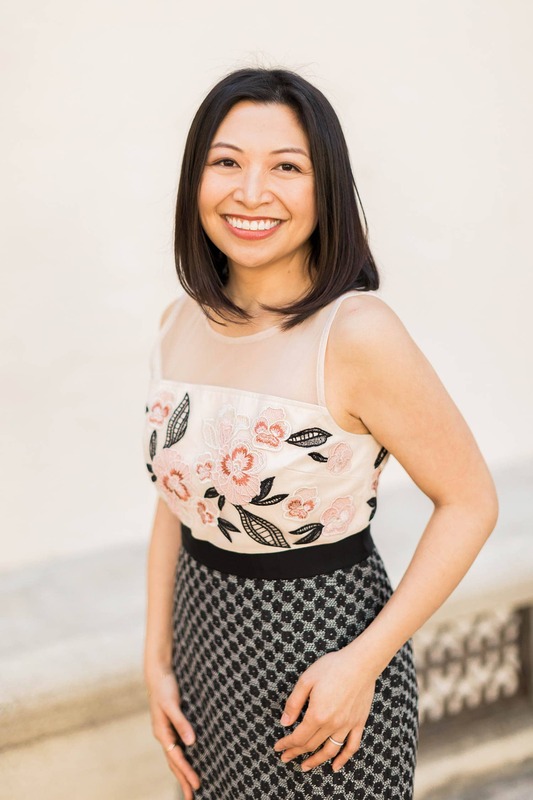 Hi Annie! Hmm, I’ve never tried white grape juice. I gotta check that out! Coconut water is usually stocked with the juices, sometimes near sports drinks. It’s super hydrating and tastes delicious ice cold. I made it as directed. It was delicious and refreshing. It made 2 servings, so the 2nd serving is waiting in the fridge to be devoured as an afternoon snack. I can’t wait! Thanks for sharing the recipe. That’s wonderful to hear! Thanks for trying out the recipe. I’m so glad you enjoyed it!